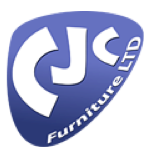 CJC Furniture is a growing independent furniture importer and reseller based in the West Midlands. Like many of our smaller clients CJC Furniture benefits from our specialised business support along with our standard accountancy services. As part of our bespoke service offering to CJC Furniture we receive all invoices and documentation once a quarter and use these to prepare the Management accounts, VAT return and Statutory accounts. This differs from our larger clients who will provide us information daily or weekly.